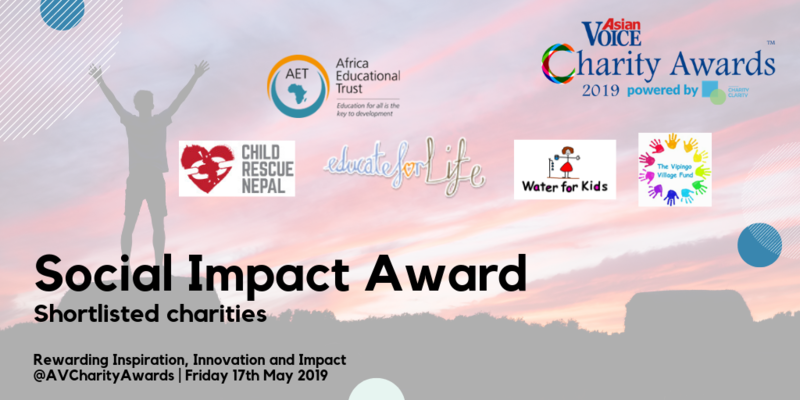 Africa Educational Trust has been shortlisted for a Social Impact Award at the Asian Voice Charity Awards powered by Charity Clarity. A panel of industry leaders will select which of the five nominees they feel best demonstrates three key attributes; inspiration, innovation and impact. Our projects are amongst many which are transforming lives and our innovative grass roots approach has gotten us noticed. There are so many inspiring charities out there having a positive impact on individuals and communities. The black tie event will take place on the night of Friday 17th May at the London Hilton on Park Lane. We are very much looking forward to attending and celebrating the best in charity and social enterprise in the UK.